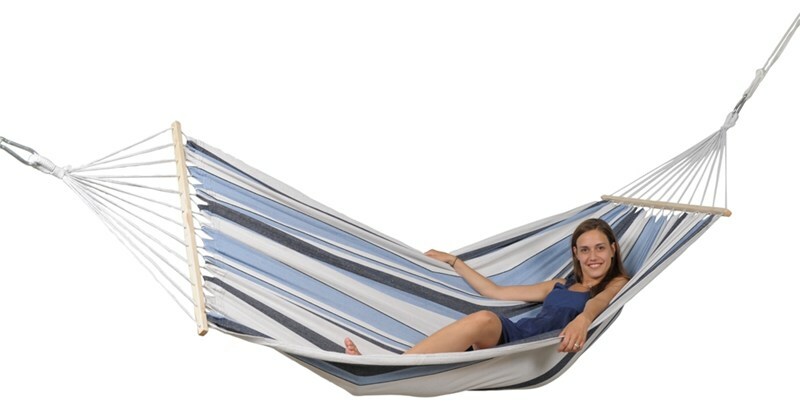 The Amazonas Samba Marne hammock is weatherproof and has a maximum capacity load of 150kg. 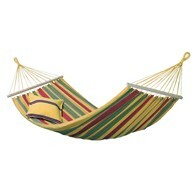 It inclues a spread bar along the top to keep the hammock dispersed for extra comfort. A lovely tranquil marine colour, the perfect place for relaxing and chilling out. There are no reviews for Amazonas Samba Marine Spreader Bar Hammock.